A tsunami warning has been issued after an earthquake struck off the east coast of Sulawesi Island, Indonesia. The quake, which hit at a depth of 17 km, had a magnitude of 6.8, the US Geological Survey said. 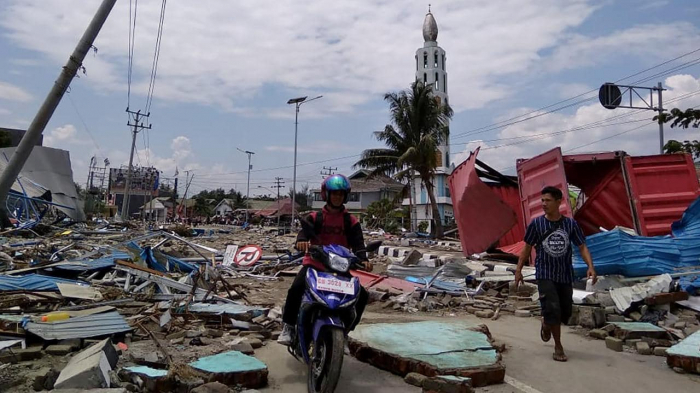 The epicentre of the quake was far from the Sulawesi city of Palu, which was devastated by an earthquake and tsunami in September, but it was felt there and cause people to run into the streets in panic.